We’re getting into the Halloween holiday spirit here at OpenSesame! To help you celebrate this fun holiday, we’ve picked the best Halloween themed courses from our catalogue. 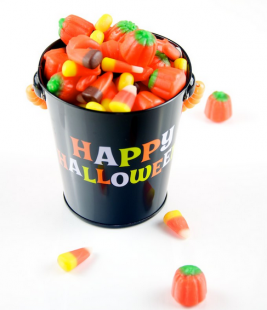 Help your employees have a little fall fun with these ghoulishly great courses! Enter, if you dare, the harassment house of horrors in this course from Compliance Cartoons. You’ll learn all about harassment in it’s many forms through the haunted library, where you’ll find many harassment resources, and the graveyard, where you’ll be tested on your knowledge (and maybe have to chainsaw a zombie or two!). This highly interactive course features engaging graphics and games, while still providing important harassment information. Have fun battling zombies and exploring the haunted house; put inappropriate and harassing behavior to rest! Nothing is scarier than having an emergency at the workplace! A normal fun, everyday situation at the office can turn into a matter of life and death within just a few seconds. Due to the number of safety and health hazards at most workplaces, all employees should be equipped with standard first aid knowledge. Being familiar with first aid will help you act as an effective first respondent so that you and your coworkers can get out any frightening situation alive and well! Overindulged in Halloween Candy? This course from RedVector will help you get your health plan back on the right track. Learn how to get the good nutrition your body needs to maintain a lifetime of health and wellness, without fad diets and quick fixes. If you’re looking to lose weight (or simply shed the Halloween junk food pounds) and get healthy, take this course and ditch your holiday guilt! Maybe your office has a company Halloween party (or you plan to attend a party on your own!). If there’s alcohol involved, get the information you need to know ahead of time with this course from Drug Free Business Solutions. Be informed about how alcohol is absorbed, distributed and metabolized and learn the truth about some common drinking myths. Be safe at your Halloween party this year! General Office Etiquette: Please Play Nice With Others! There’ll Be Fewer Workplace Injuries That Way! Looking for high-quality, entertaining employee training? Try a BigPow course; they’re highly educational courses “masked” as funny training encouraging your employees to be on their worst behavior! This office etiquette course uses humor to address a host of common office issues – attendance, gossip, work ethic, proper (and improper) topics of conversation, how to act in meetings, and how to be an effective team player. Boring, dry topics are “dressed up” as funny and easy-to-watch in this course! Happy Halloween from all of us at OpenSesame! !